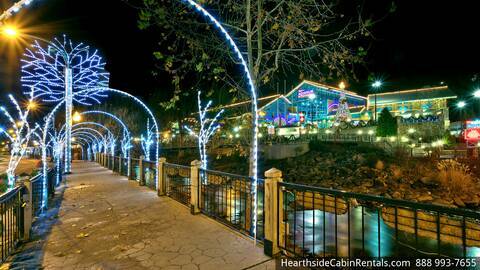 Overlooking downtown Gatlinburg!!! 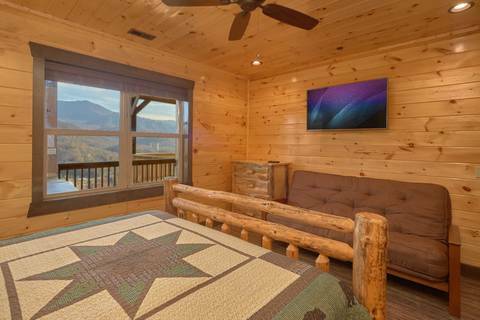 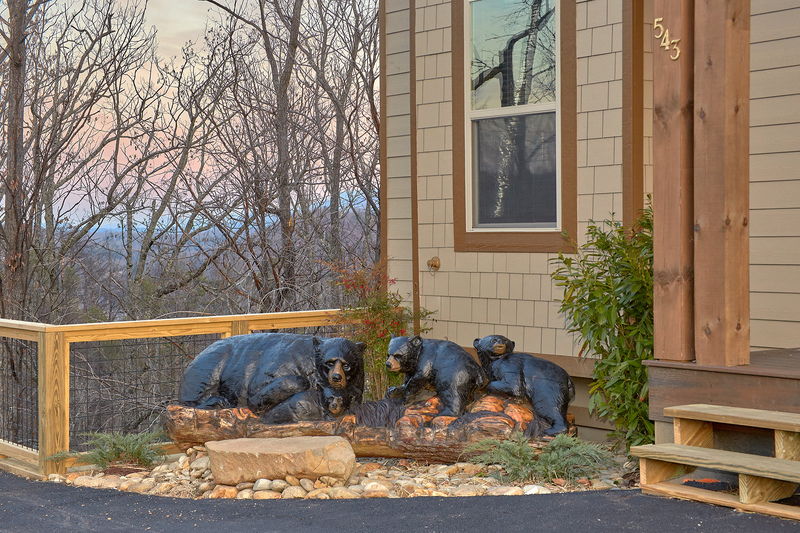 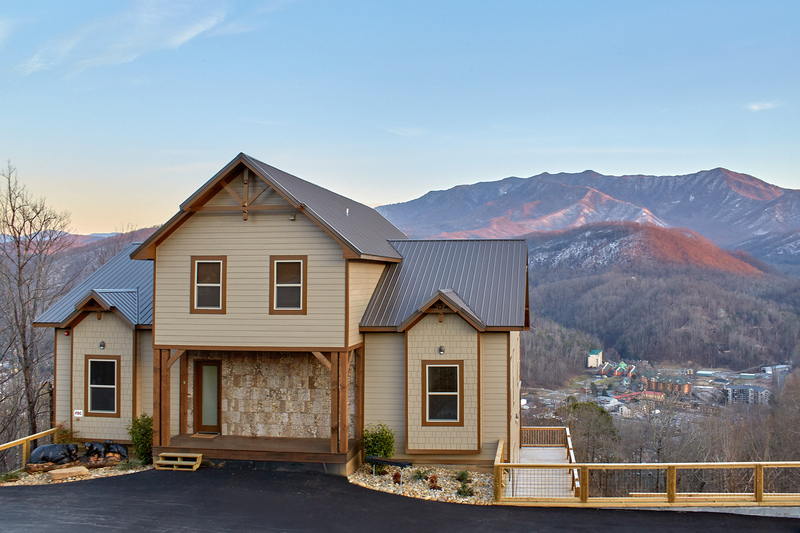 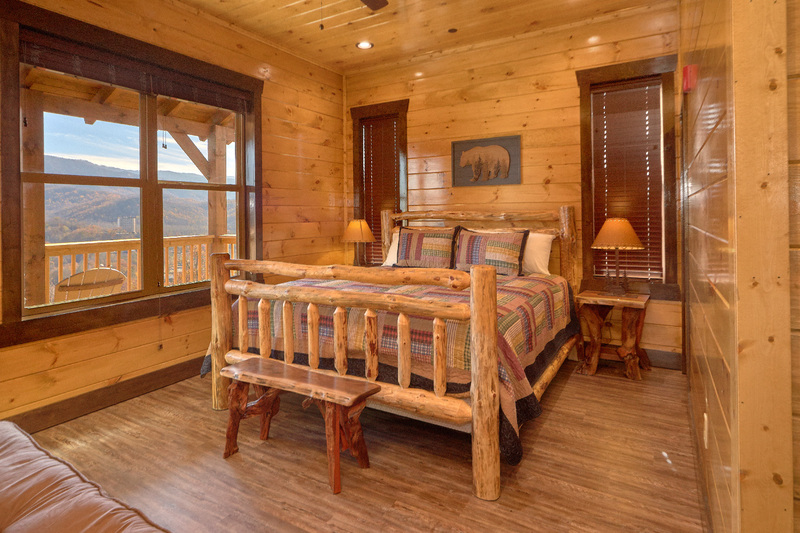 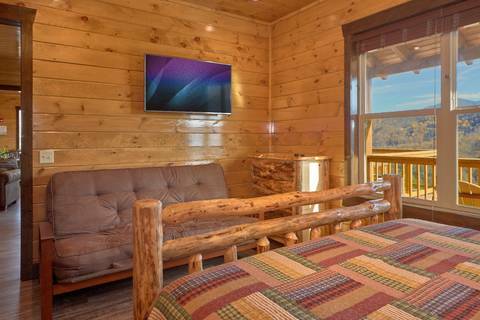 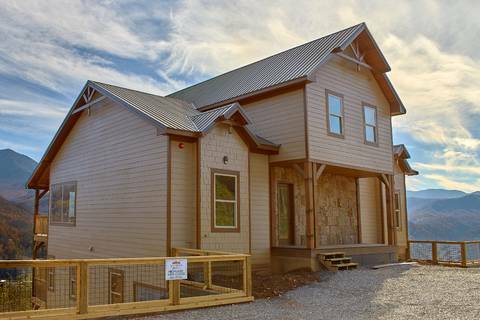 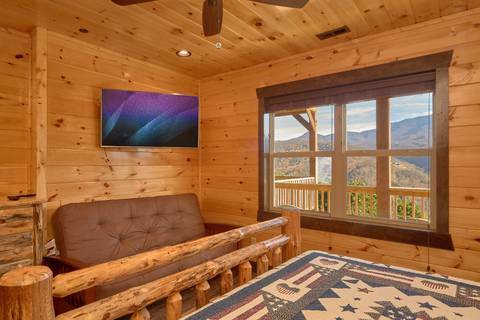 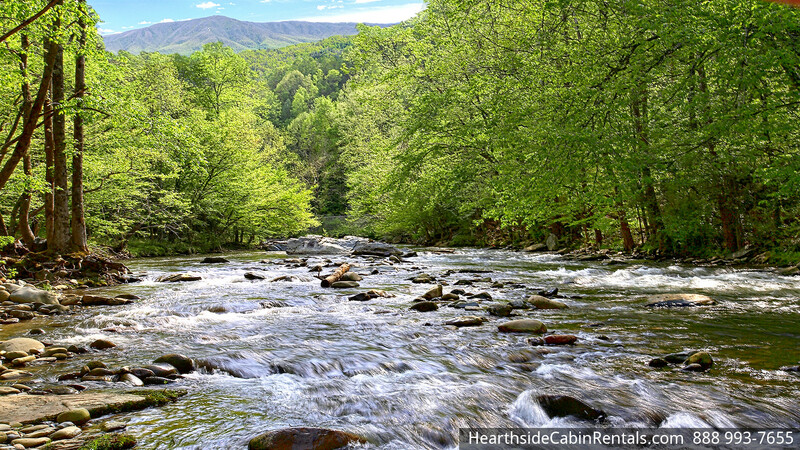 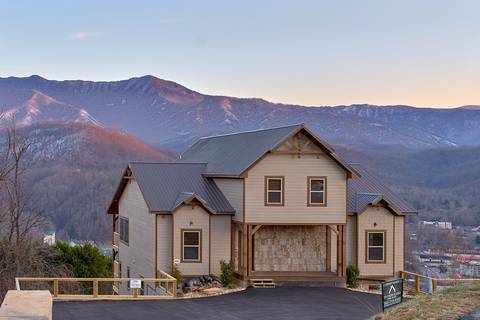 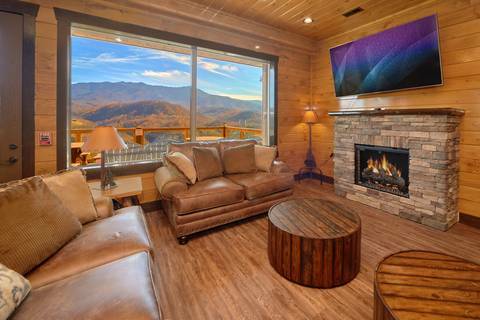 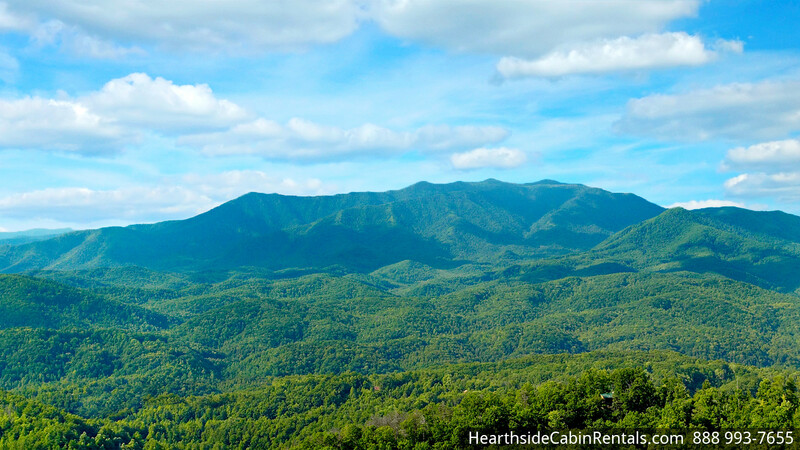 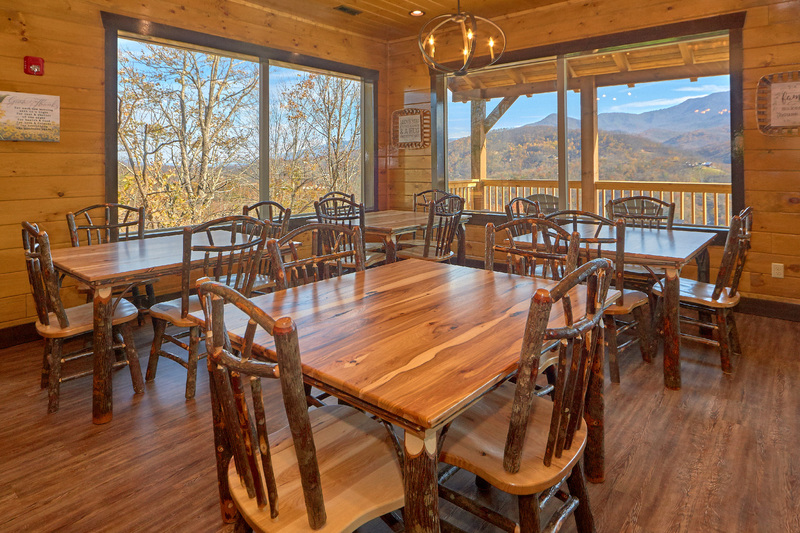 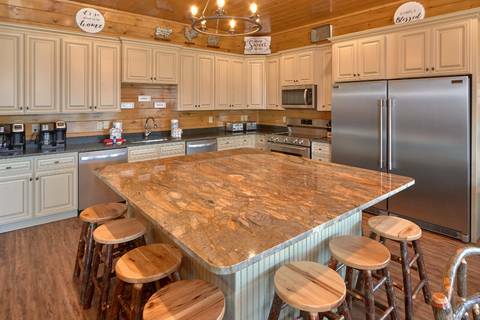 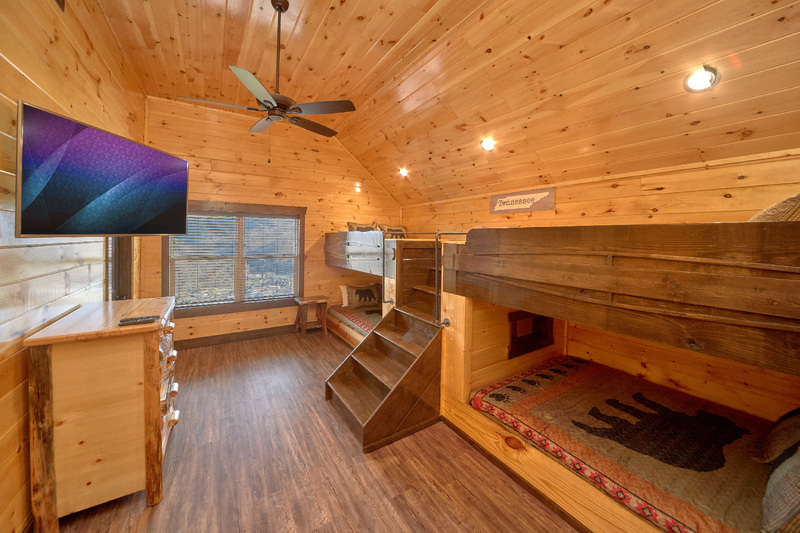 The BRAND NEW Highlands Lodge is an incredible 8 bedroom, 8 1/2 bath cabin that sleeps up to 40 people in luxury with the most amazing Smoky Mountain view you are likely to see from any rental property. 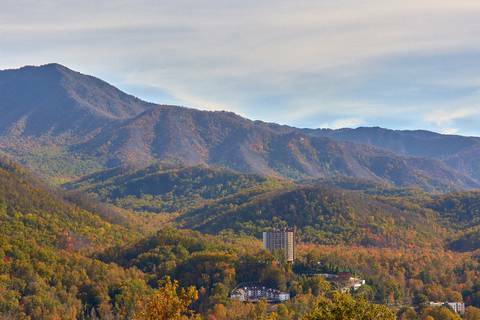 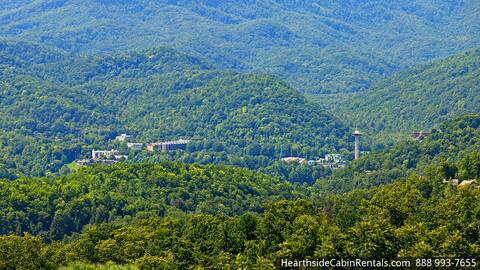 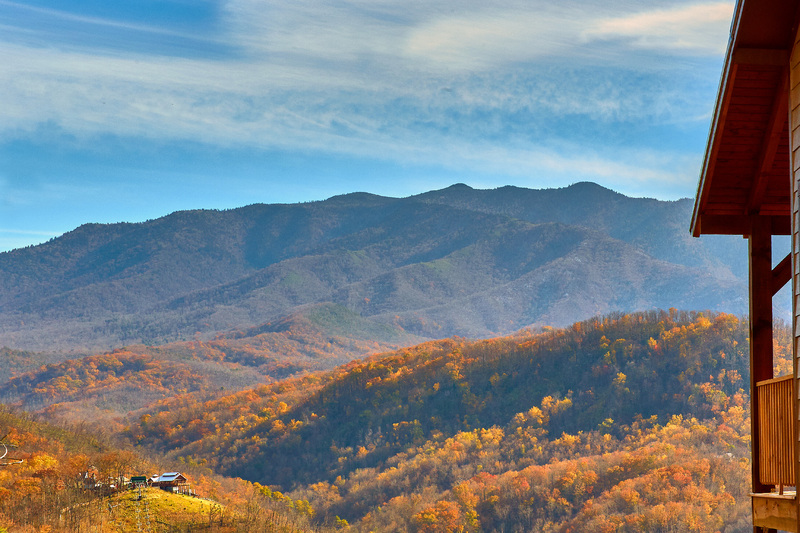 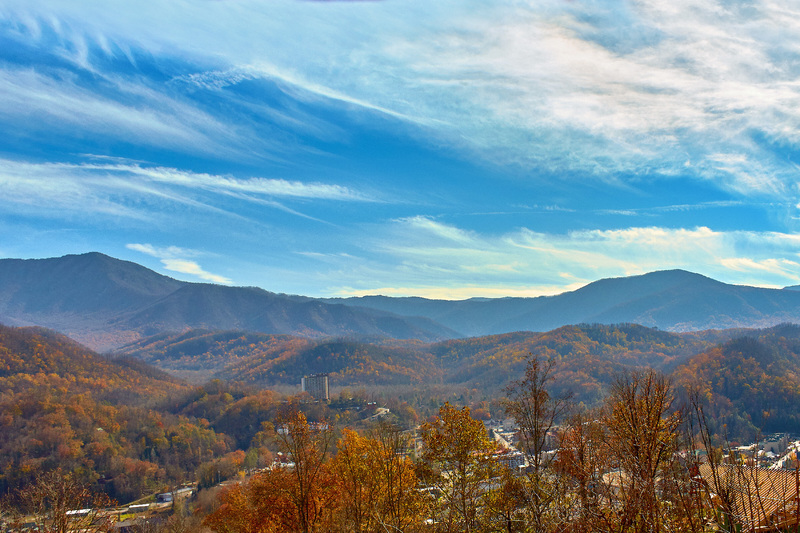 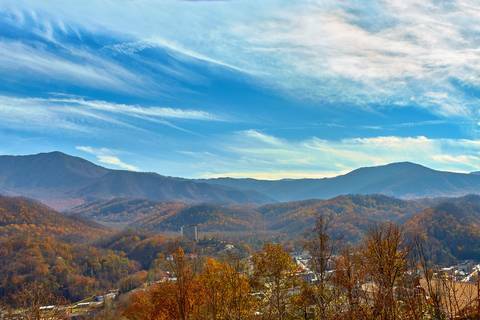 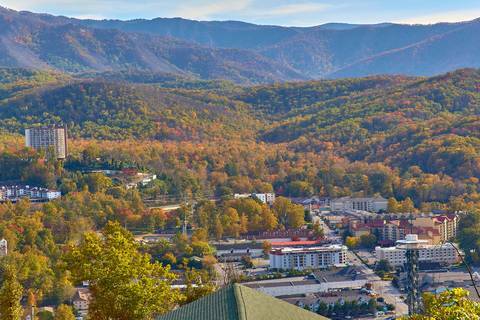 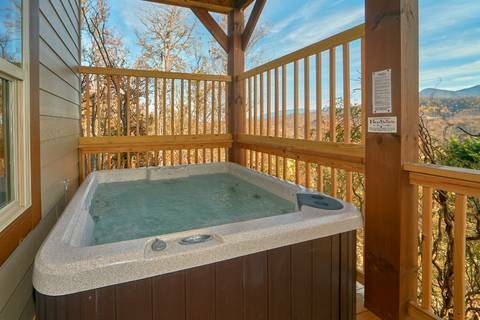 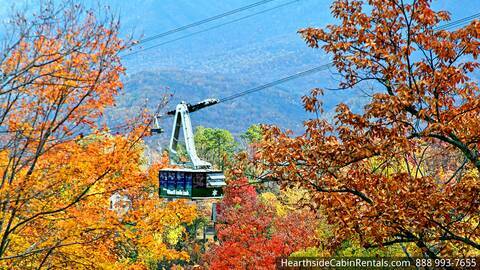 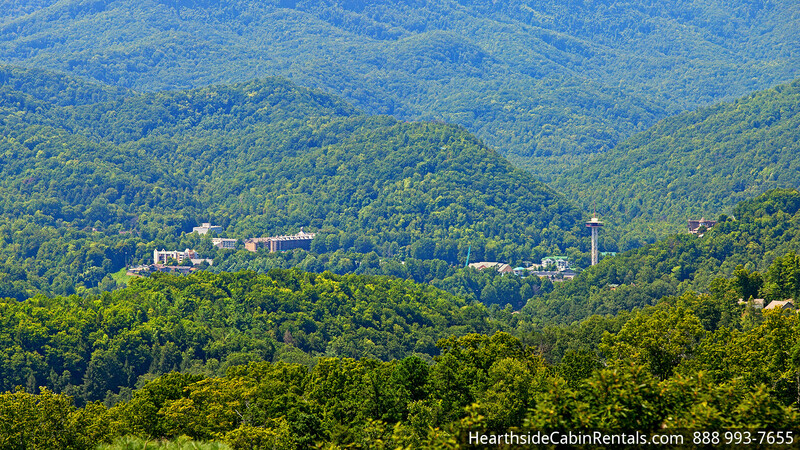 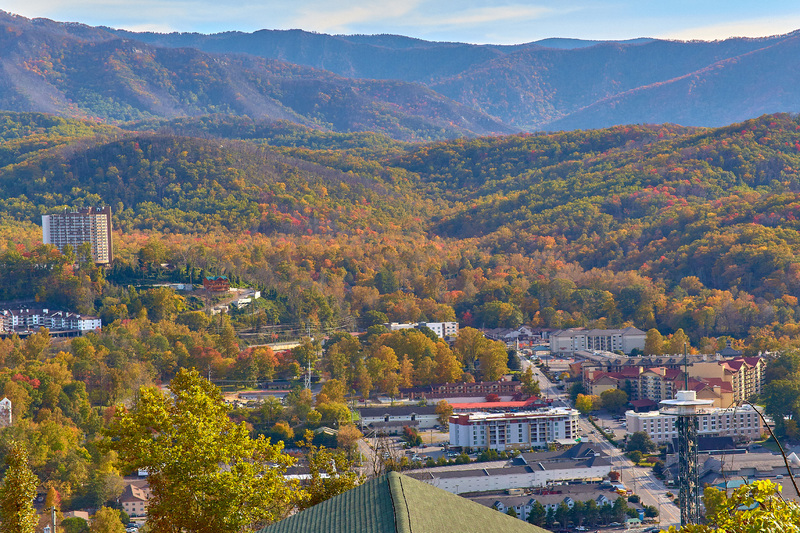 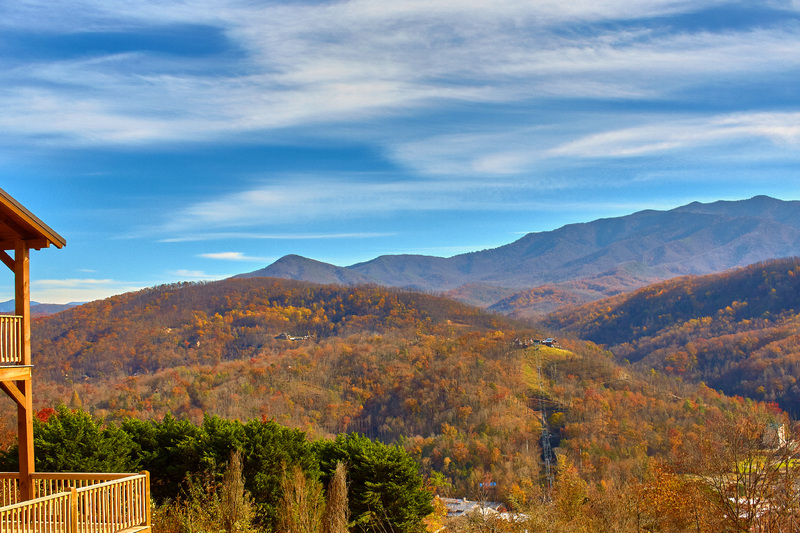 This Smoky Mountain wonder is loaded with incredible amenities that are almost too many to list.... but we'll try! 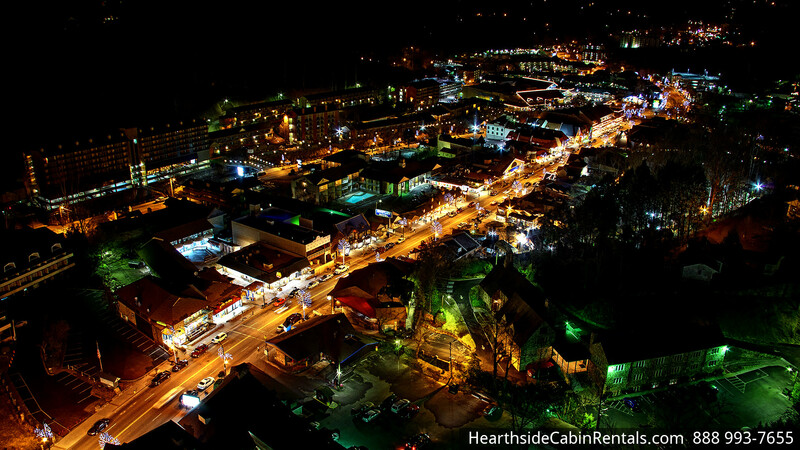 ***Main Level: Highlands view has ample parking for up to 8 individual automobiles. The grand entrance opens up into the kitchen/living room area. 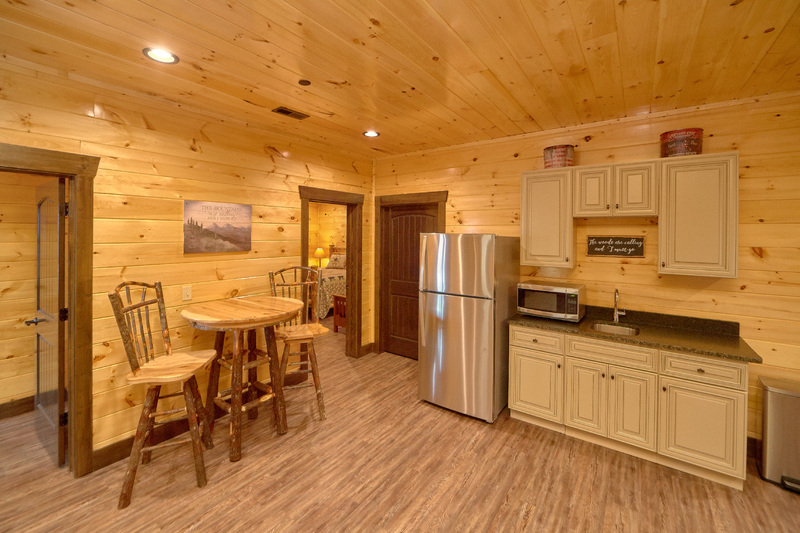 The kitchen is fully equipped with everything you need to prepare a home cooked meal for you group and there is plenty of seating in the large dining area. A laundry room is located on this level with a half bath for your convenience. There are 2 bedrooms on this level, both with King sized beds and futon sleepers, so each room will accommodate up to 4 guests. 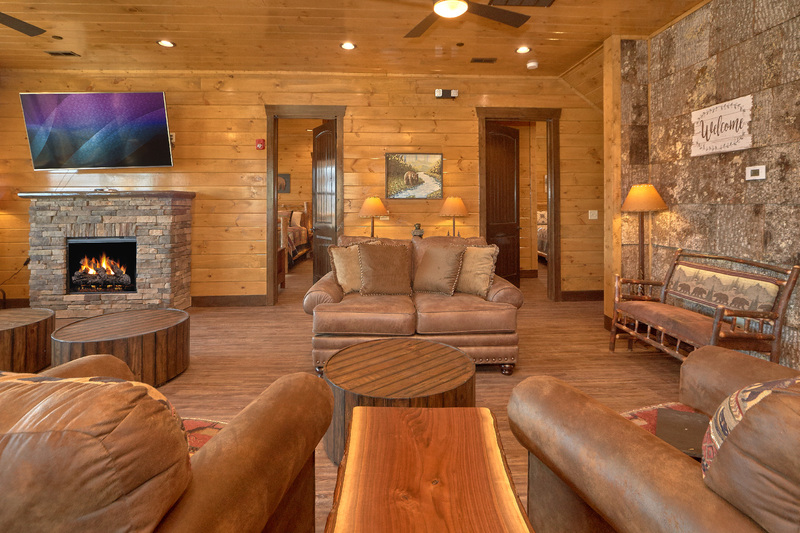 A living room area with comfortable chairs and couches allow your guests to relax while they watch a 65 inch flat screen TV. 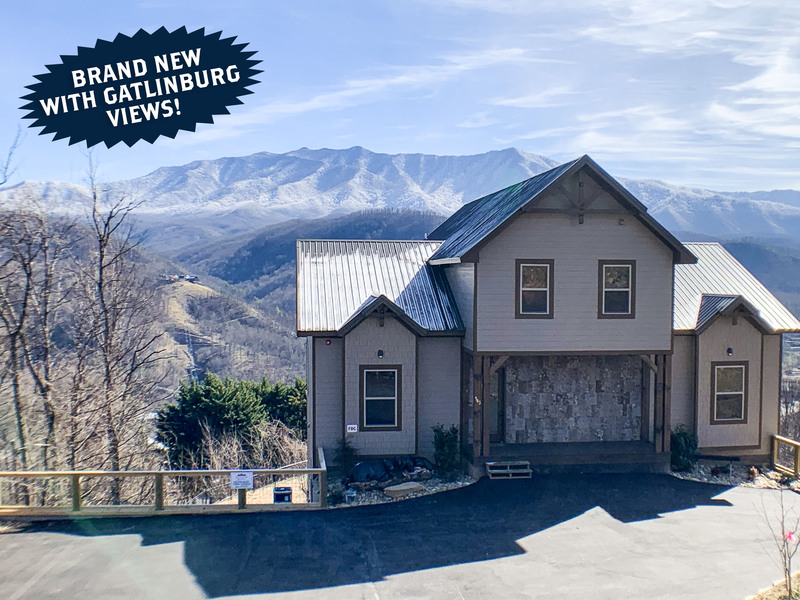 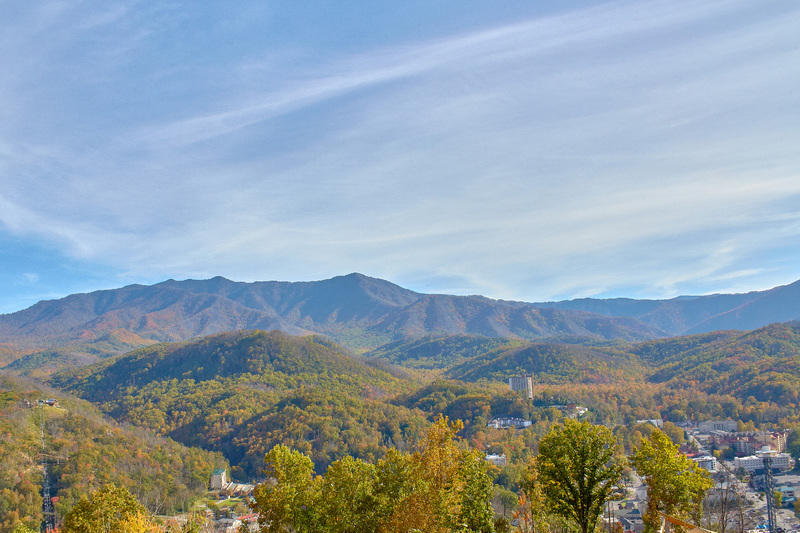 This level gives way to a large private deck with unbelievable views of the Smokies and downtown Gatlinburg, perfect for small weddings and gatherings. ***UPSTAIRS LEVEL- The upstairs level of the cabin features a pool table, as well as a futon for additional sleeping. 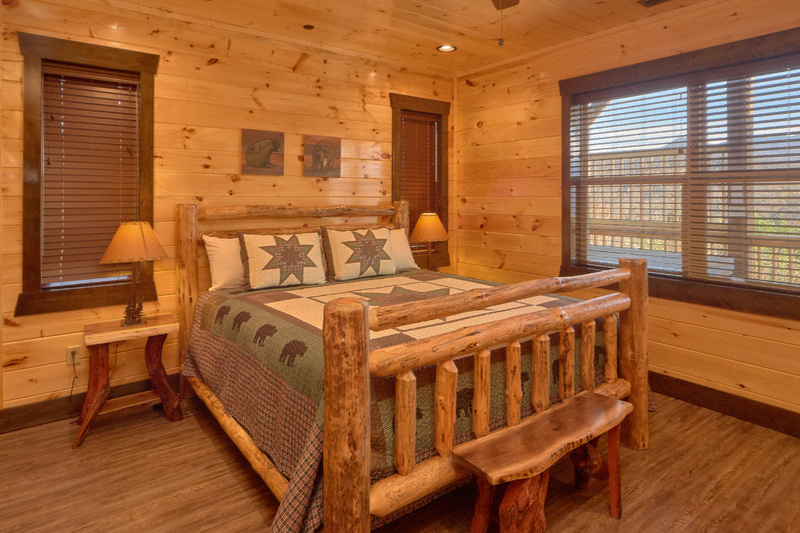 There are 2 bedrooms on this level, each with a custom built set of bunk beds as well as private bathrooms. 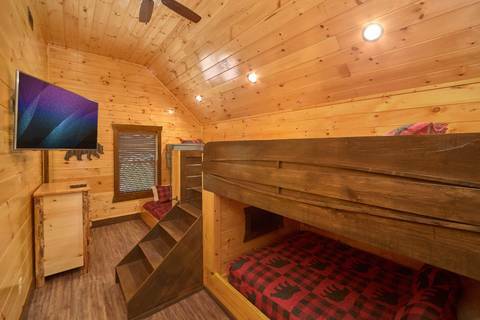 One room has 4 Queen custom built bunk beds and the other bedroom has a set of custom built Queen bunks and well as a custom Twin over Queen bunk. 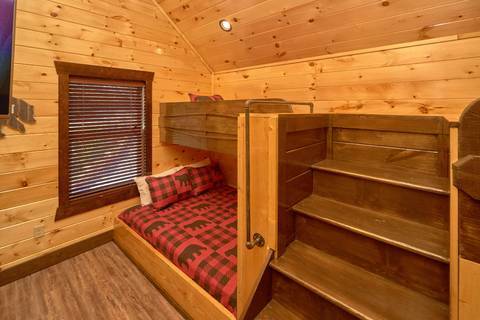 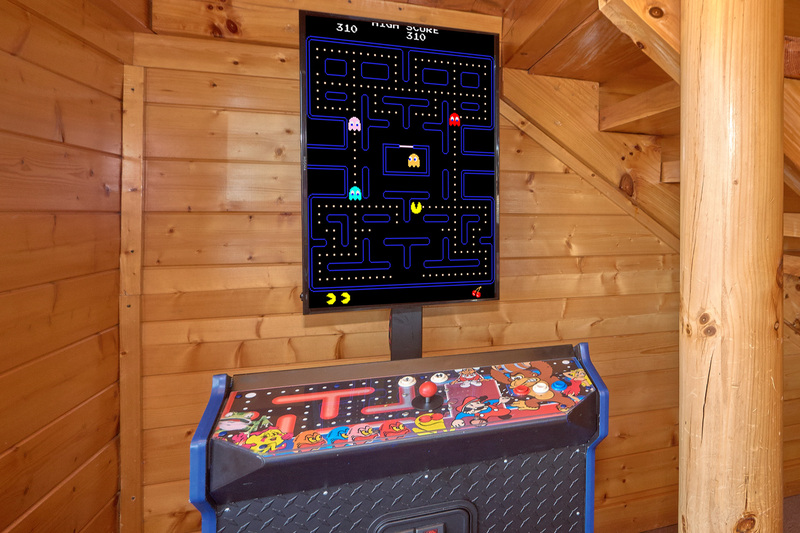 This level will sleep up to 17 guests. 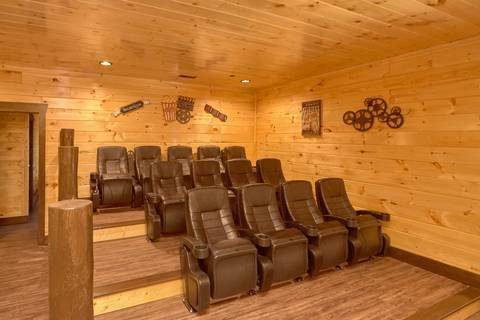 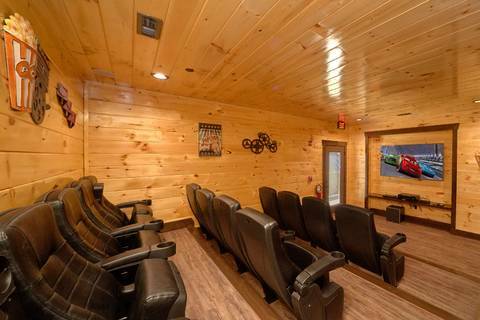 ***Lower Level- This level could be called the "Entertainment" level as it has an awesome Theater room which is perfect for watching movies, the big game or even doing a business presentation. 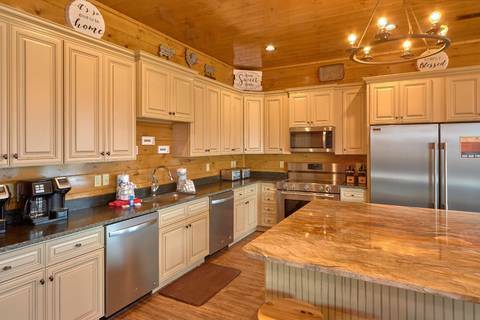 For your convenience there is also a kitchen area with refrigerator, sink, and microwave. 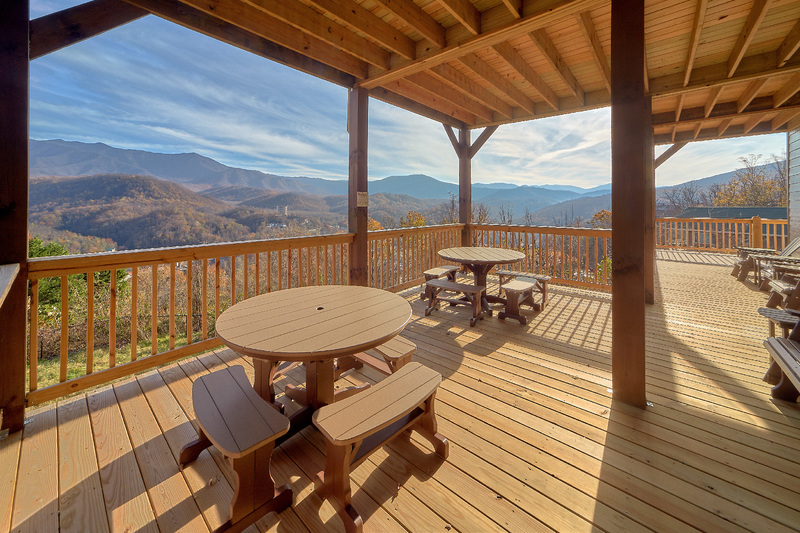 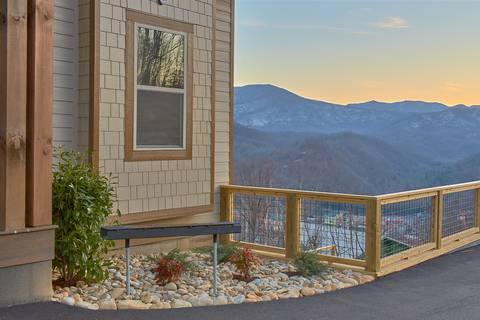 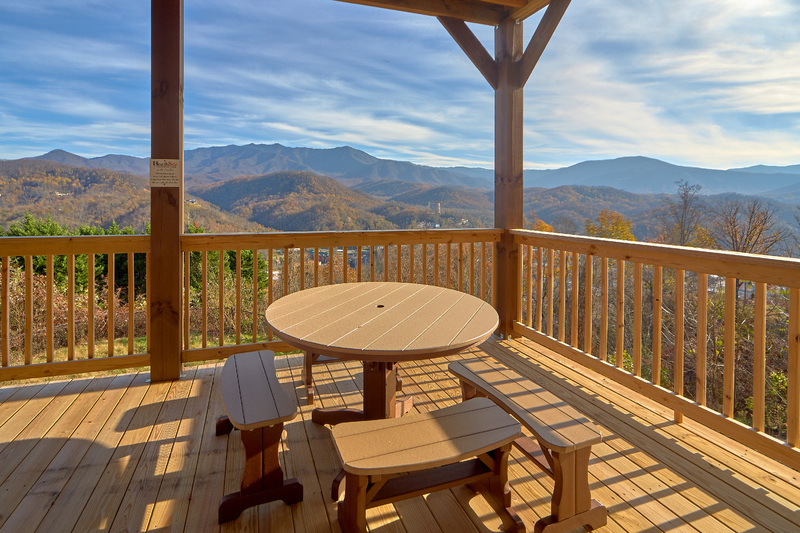 Access to a large private deck with incredible views of the Smokies. 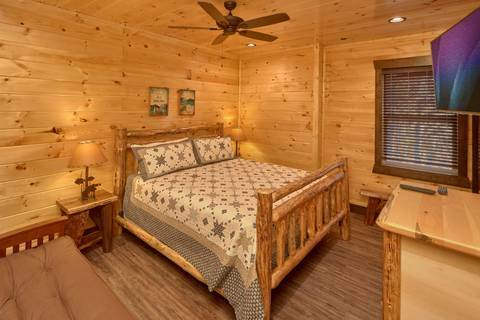 There are 4 bedrooms on this level, each with a futon couch and its' own private bathroom. This level sleeps up to 16 guests. 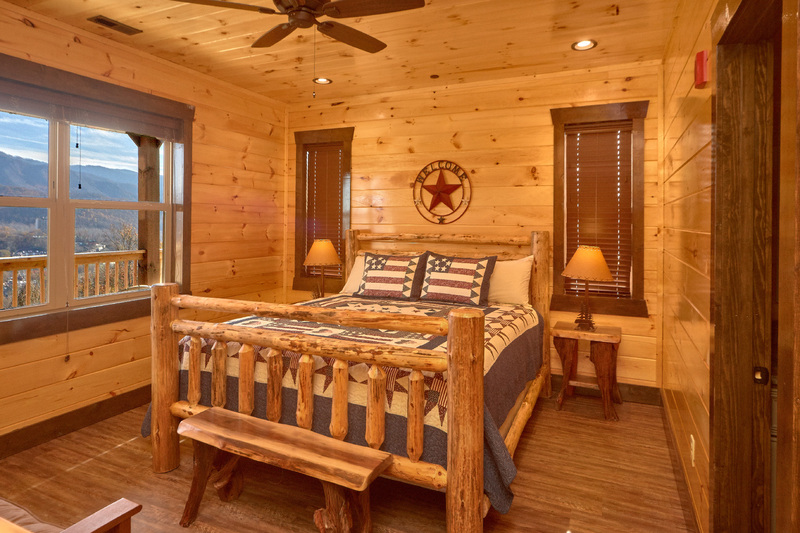 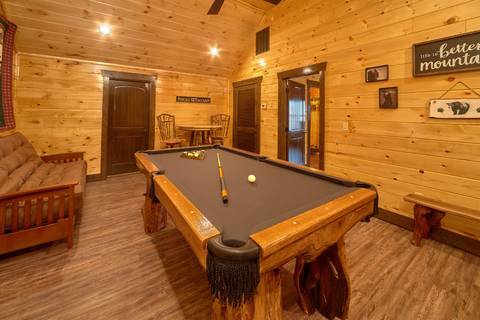 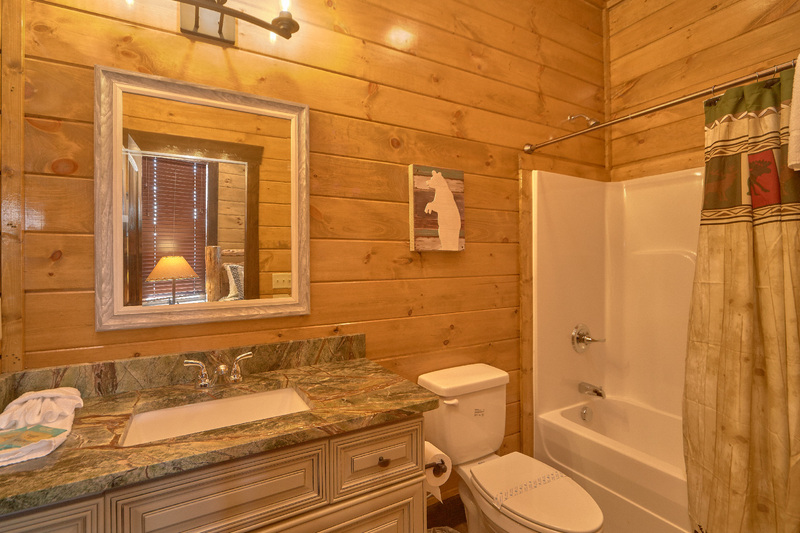 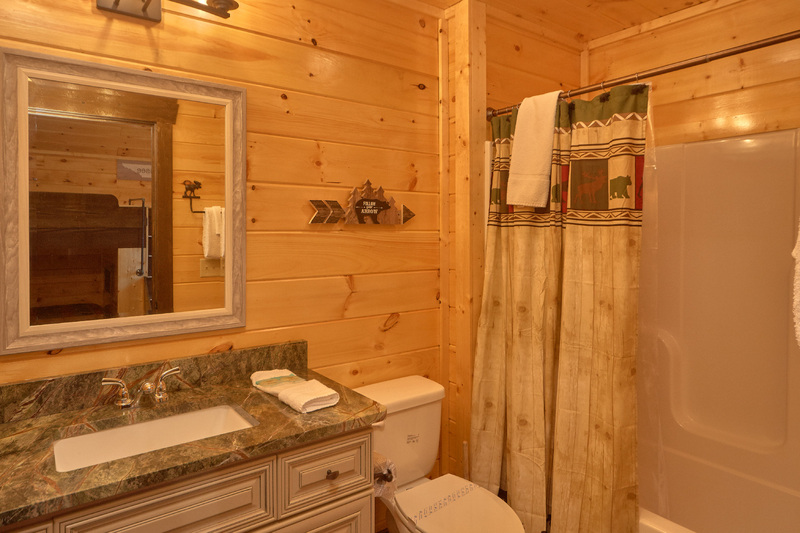 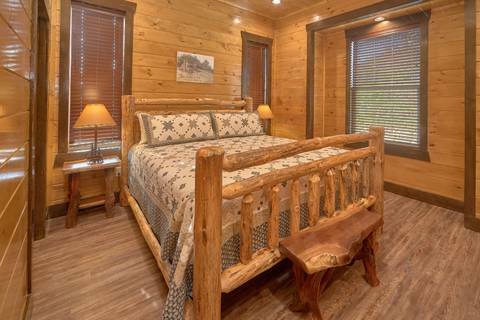 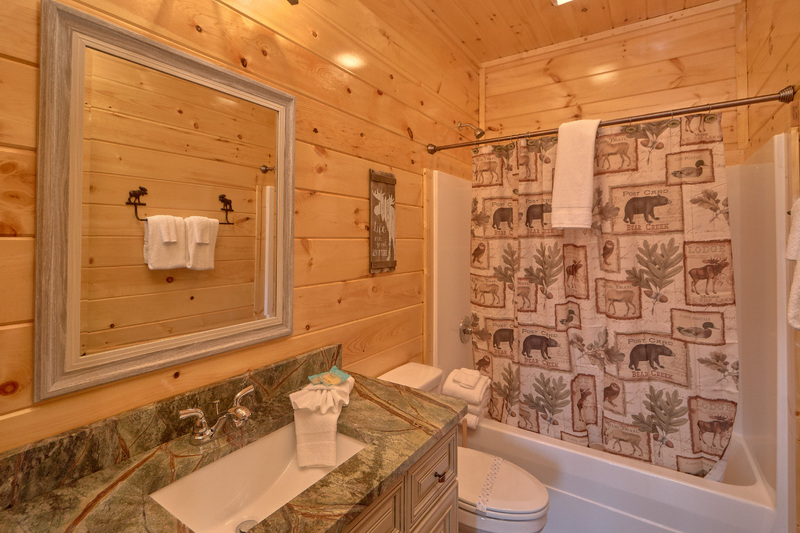 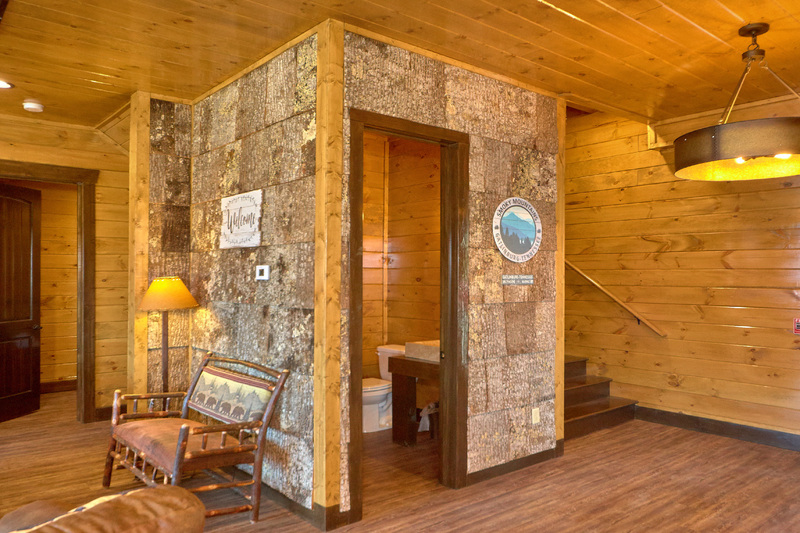 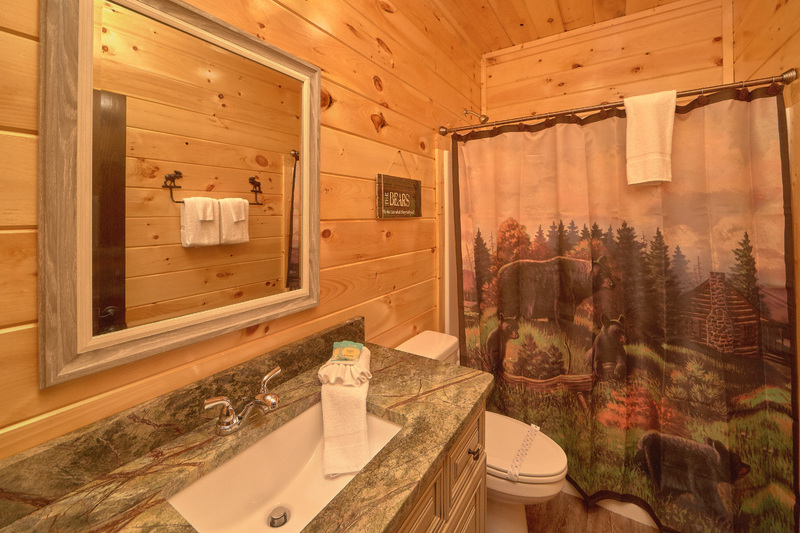 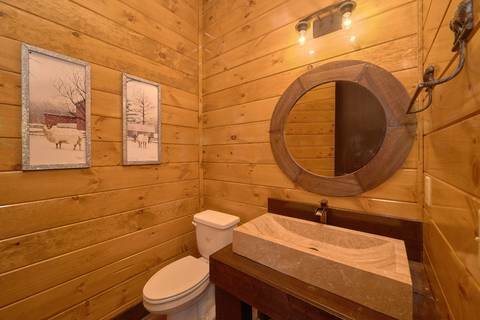 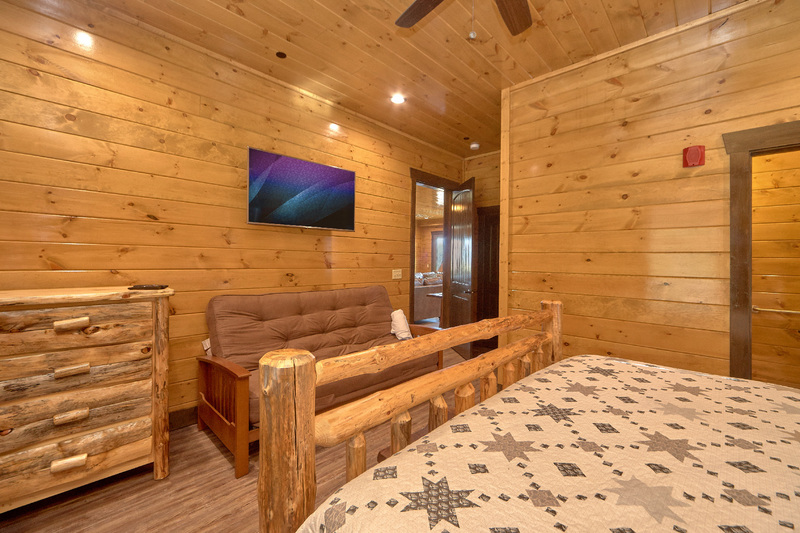 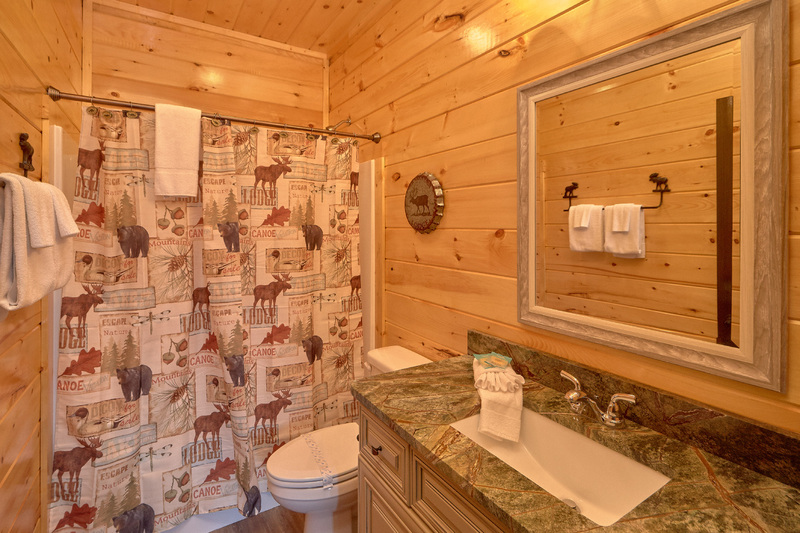 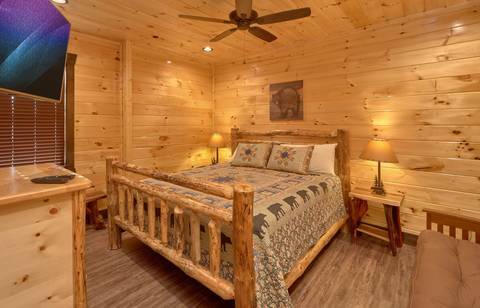 Call us or book this incredible cabin online today!